A volcano is a fissure in Earth’s surface which permits gases, ash, and hot lava to flow from a subterranean magma chamber. In cult-television history, volcanoes have served as crucial plot devices in several prominent series. Volcanoes are symbols, sometimes, of God’s wrath, and at other times simply representations of cruel fate. The volcano might also signify unexplored territory, or a kind of natural, bubbling rage. 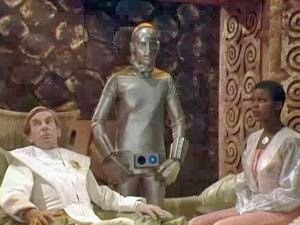 The British space opera, Blake’s 7 (1978 – 1981) also features a volcano in an episode titled, fittingly, “Volcano.” In this third season story, the Liberator’s on-the-run crew searches for the missing Blake -- and a new base -- on the volcanic world called Obsidian. 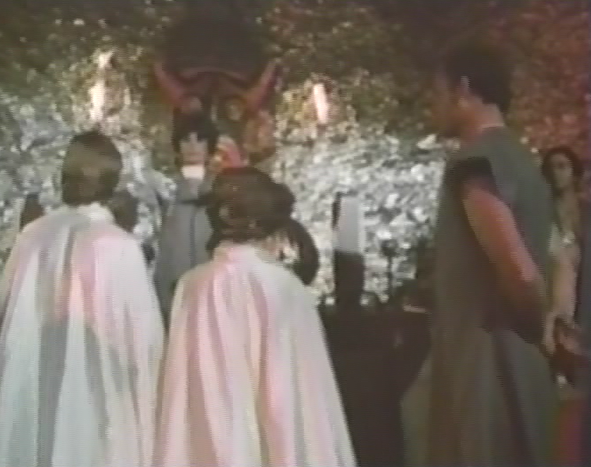 Instead, they find a man called Hower (Michael Gough), a friend of Dayna’s father. 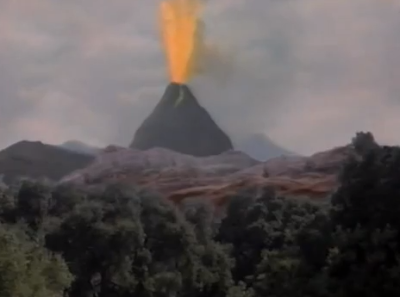 In the remake of Land of the Lost (1991 – 1993), a first season episode called “Kevin vs. the Volcano” finds a sudden volcano eruption threatening the Porter homestead. 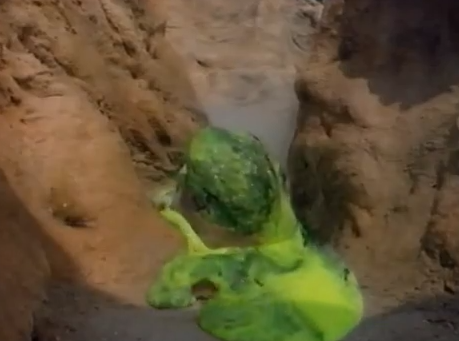 Green lava bursts out of the mountain and moves through the desert, towards the family tree house…at least until Kevin Porter uncovers a subterranean cave and Sleestak technology capable of quieting the volcano. When activating, the machinery makes the lava run backwards, back into the mountain itself. In the David Tennant era of Doctor Who (2005 - ), the serial “The Fires of Pompeii,” the Tenth Doctor and Donna (Catherine Tate) visit Pompeii, the Roman City, just before the eruption of Mount Vesuvius in 79 AD. 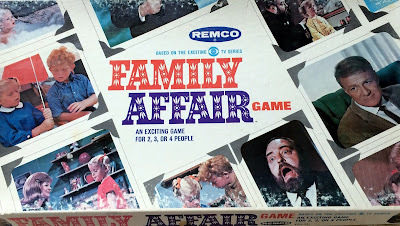 The Doctor and Donna must not only stop an alien invasion there, but decide if it is right and ethical to save a Roman family from the coming apocalypse. 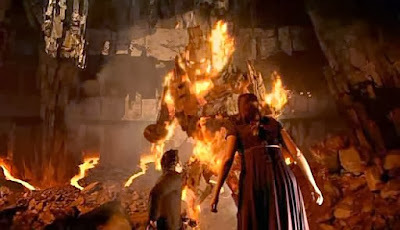 Outside the plot-device of the volcano and examination of the Doctor’s morality, this episode of Doctor Who is significant because it features Karen Gillan -- future companion Amy Pond -- and Peter Capaldi, a future Doctor. Volcanoes have also appeared to menace characters on such animated series as Godzilla (1978) and South Park. 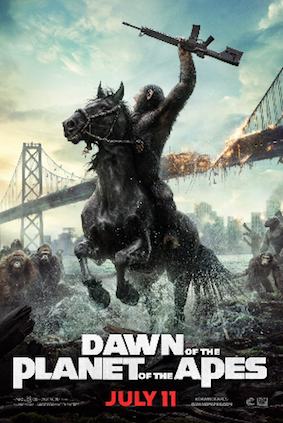 I have to go back and watch my dvd set of Return to the Planet of the Apes to see the "River of Flames". I am surprised I did not remember the cutaway volcano that was number 3.